The Supreme Electoral Council (YSK) has ruled that mayor-elects of the March 31 local election who were previously dismissed from their public sector jobs by decrees issued by the Justice and Development Party (AKP) government following a failed coup attempt will not be allowed to serve as mayors. Turkish media outlets reported on Wednesday that according to the YSK ruling, the mandates will be given to the candidates who ranked second after the mayor-elects during the local polls. The mayoral candidates, who were sacked from the public sector through the government decrees had already been allowed to run in the elections, even though the YSK was aware of their dismissal status while they were applying for candidacy. Many previously dismissed mayor-elects had been waiting for their mandates after the local election. Some provincial and district election boards asked the YSK what steps to take pertaining the elected mayors, having dismissal status. The YSK ruling was issued after these election boards’ questions, however, it has been expected to be binding for all such elected mayors. 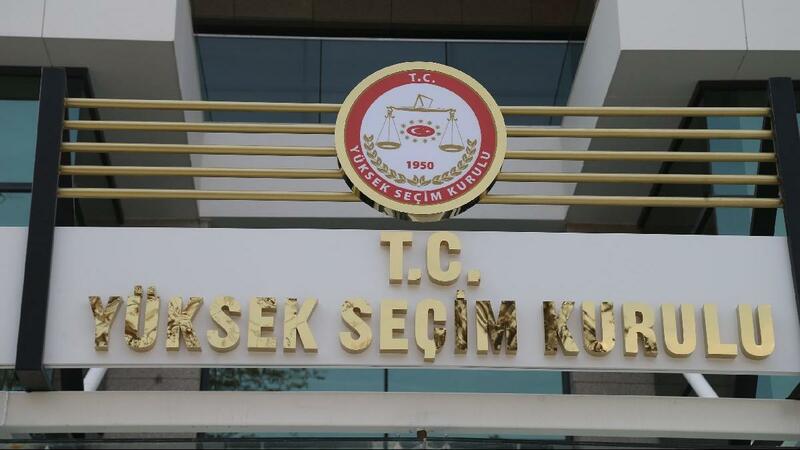 The YSK has not yet revealed the reasoned opinion regarding its ruling, yet it is expected to be the same as is the case of a mukhtar, a Turkish title for neighborhood official, who was elected, however not allowed to serve for the same reason. It is no surprise that the YSK decision will mostly affect elected mayors from the opposition pro-Kurdish Peoples’ Democratic Party (HDP). According to the T24 news report, the YSK ruling has affected six HDP mayor-elects so far. Zeyyat Ceylan, HDP’s mayor-elect in Baglar district of Diyarbakir, is only a single example in that regard. He was a teacher before his dismissal. He won the election, getting 70.34 percent of the votes in the election. Huseyin Beyoglu, AKP’s candidate in Baglar district who received 25.46 percent of the votes and was ranked second, has appealed to the YSK, calling for the election board to grant him the mayorship, due to his rival’s dismissal. Ironically, the YSK did not issue such a ruling, when some current MPs, such as Cihangir Islam from the Islamist Felicity Party (SP) and Omer Faruk Gergerlioglu from HDP, had been elected in last year’s parliamentary elections. Ninety-five elected HDP mayors in predominantly Kurdish-populated cities were deposed and replaced with appointed trustees. According to Ahval news, 48 out of 70 HDP candidates who won in the March 31 elections have still not received their mandates without any explanation by the YSK. “They [the ruling AKP] have been trying to invent new arguments,” said Ahmet Turk, a veteran Kurdish politician, who won the election in the southeastern province of Mardin with 56 percent of the votes, yet still waiting for their mandate.